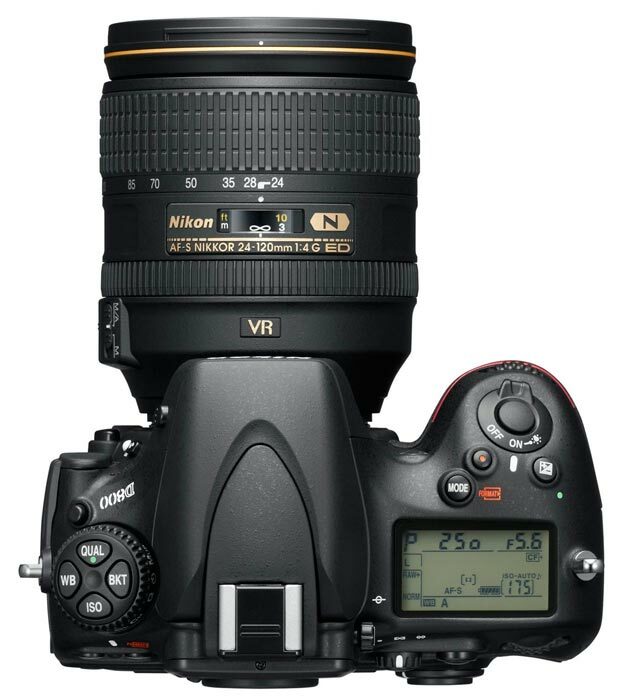 The Full Frame FX Nikon D800 36.3 megapixel SLR when introduced had the most megapixels of any SLR Nikon had produced to date. (The previous D700 model only had 12.1 megapixels). 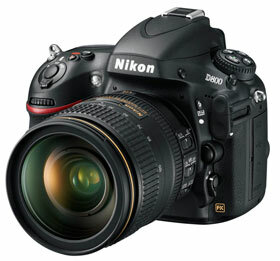 The D800 shares many of the features of the new Nikon D4, but is smaller, lighter and less expensive. It is capable of 36.1 megapixel medium format images with low noise. This model has maintained the same ISO as its predecessor (100-6400) even though it has three times more pixels. New for this model is the introduction of a Full HD 1080p Video mode with a headphone jack, microphone jack, uncompressed HDMI out, Audio monitoring, and a dedicated movie record button. You can shoot in either FX or DX movie formats. Video can be shot with full manual control and you can view live video with an external monitor through the HDMI. Another new feature is the built-in HDR (high dynamic range) function which can create a single image that combines two exposures for a better image. A time lapse photography mode is included. Other features include a new live view selector (see image on right) which switches from modes optimized for both video or still images. Live View allows you to compose your pictures and movies by using the new 3.2-inch LCD high resolution screen (920,000 pixels). 4.0 fps continuous shooting, Active D-Lighting function which can vastly improve shadows and highlights of high-contrast scenes. The D800 has a faster 51-point AF with 3D Focus Tracking: Exacting autofocus precision. The 3D tracking can focus and lock-on a moving subject and do so on moving subjects which are smaller in size than previous cameras. Ultrasonic sensor cleaning for dust reduction. Built in Flash. The camera body is weather sealed and constructed with a high strength magnesium alloy. O-ring seals keep out dust and moisture. D800 upgrade features from the Nikon D700: Added a Full HD Movie mode, Resolution has tripled from 12.1 to 36.3 megapixels, ISO added 100 ISO versus 200 on D700, improved 51 AF points, added a Microphone and Headphone jack, Manual audio level monitoring and adjustment, Dual Slots for SD and CF cards, HDR Mode, Uncompressed HDMI out, Reduction in rolling shutter in video mode. Upgraded to EXSPEED 3 processor, shooting time per clip (29 minutes normal quality, 20 minutes at high quality). 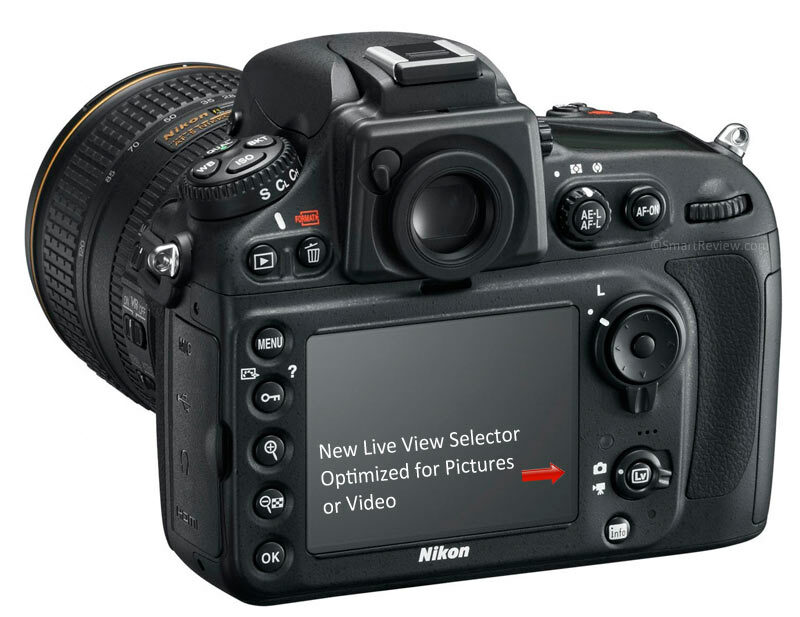 New optimized LiveView selector switch, dedicated movie start/stop button. Larger 3.2 inch LCD. HDR High Dynamic Range Feature. Scene Recognition System goes from 1,005 pixel sensor to 91,000 pixels. Shutter durability upgraded from 150,000 to 200,000 cycles. The D800 is 10% lighter than the D700. Memory Cards/Battery: Dual CF and SD Memory Card Slots: UDMA CF Flash Cards and SDHC, SDXC, and UHS-1 memory cards Lithium-ion battery EN-EL15 (included). USB 3.0 (also downward compatible with USB 2.0). Dimensions: 5.7 x 4.8 x 3.2″ (2.2 lbs) Body. Smart-Review Commentary: The D800 is one of Nikon’s best full frame (FX) SLRs to date, the newest D810 is even better. 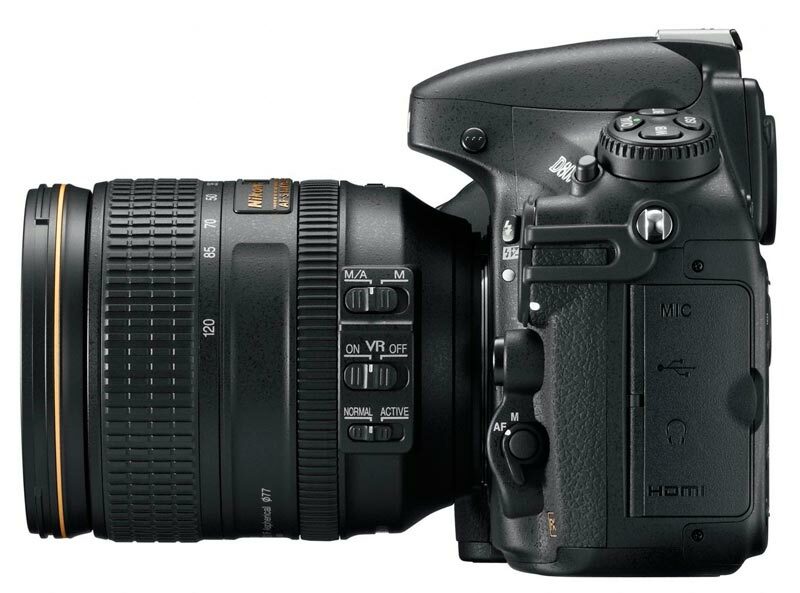 It is the leader in the megapixel competition (36.3 megapixels), and a huge upgrade from the D700. Aside from megapixels, the biggest upgrade to the D800 is the Full HD 1080p movie mode. This is not just an afterthought, but a full professional movie mode with all the bells and whistles. You will be getting manual controls, headphone and microphone jacks, manual audio monitoring, dedicated buttons, and very important to movie makers, an uncompressed video HDMI out (allowing you to record video on a seperate device). Nikon has also added a time lapse movie mode. This camera will give Canon some competition in the movie mode area where Canon has reigned for years with the 5D Mark II which has used to make TV shows and movies. Recent movies/TV shows shot with DSLRs include Act of Valor, Red Wings, House, 24, and Walking Dead. The in-camera compression is H.264/MPEG-4 (24mb/s). You can also use the uncompressed HDMI. For comparison, the new Canon 5D Mark III has a higher in camera recording bitrate of 91mb/s if you need better in camera video recording, and a higher native ISO (25,600) if you need more low light capability. Advanced Features: For those taking still shots, Nikon has added an HDR mode which shoots two frames in a single shutter release, one overexposed and one underexposed and then combines them into one image with higher dynamic range. The burst rate of the D800 (4 fps) is slower than the D700 (5fps), which we attribute to the huge size of the images. The camera now has two slots for memory cards, both CF and SD cards. You can simultaneously record both Raw and JPG to both cards. The new Nikon D4 is capable of much higher ISO and an 11 fps burst rate, but it only has 16.2 megapixels, is a much bigger camera, and costs twice as much as the D800. The video functionality of the D800 is identical to that of the more expensive D4. The Nikon D800 is a SmartReview Top Pick. See the latest D810, the latest model, which is even better than the D800 it replaces.